Indochina day tours - Vietnam ranks 67th among 136 economies in the recently released Travel & Tourism Competitiveness Index (TTCI) 2017, going up eight places compared to the same period in 2015. Released by the World Economic Forum (WEF) every two years since 2007, the TTCI 2017 analysed 136 economies and scored each according to three sub-indices: regulatory framework; business environment and infrastructure; and human, cultural and natural resources. In terms of security and safety perception, Vietnam ranks 57th, rising by 18 places. The country occupies the highest position in the sub-section, index of terrorism incidence, as well as in timeliness of providing monthly/quarterly travel and tourism data. In the context of increasing security threats, especially terrorism worldwide, Vietnam has been assessed as a safe destination with stable political conditions. However, when it comes to international openness, the country ranks only 73th. Vietnam’s place in the openness of bilateral air service agreements index has improved by three places, reaching 40th, but the lowest place in the index belongs to visa requirements, indicating that the country has yet to catch up with other regional tourist destinations such as Thailand and Malaysia, which have eased visa requirements over the years. This can be a hindrance when it comes to connecting with other regional destinations and integrating into global economy. Vietnam made significant progress in its human resources and labour market scores (37th, up 18 places), thanks to a better-qualified labour force (53rd) and partial simplification of regulations to hire foreign labour (75th). The country also saw exceptional improvement of its information and communications technology capacity and usage (80th, up 17). 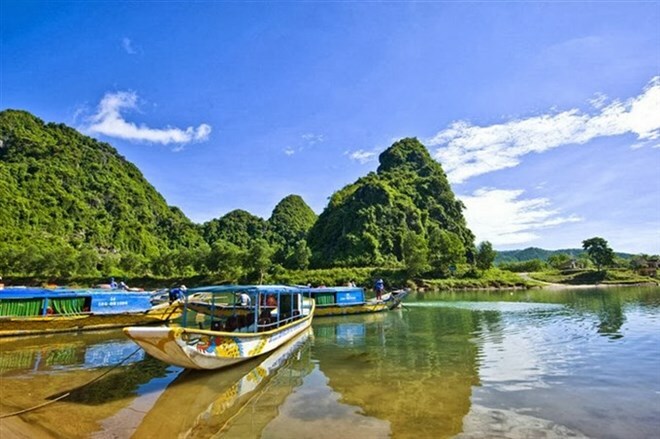 Courtesy the country’s increasing online presence, searches related to Vietnam’s natural tourism are growing, which helped it rise in the appeal of its natural resources index (up six places). At the same time, continued economic development has led to expanding business travels (further increase by three spots). To continue enhancing the sector’s competitiveness, Vietnam should focus on environmental sustainability (129th). Lax regulations (115th), high levels of emissions (128th), deforestation (103rd) and limited water treatment (107th) are collectively damaging the environment and should be addressed, perhaps at a multilateral level, to build the foundation for more sustainable development.